Who does not sometimes dream about spending the rest of the life in a tropical beach resort with white sands, clear blue water and coconut trees? The Philippines is a country made up of more than 7000 islands and English is recognized as a second official language. Most of the Filipinos, even older people speak at least a few words English. So with a little knowledge of the English language, it's much easier to get what you want than in Thailand. Because of the numerous islands, however, it might be difficult for many to decide where and on which islands to settle down. If you have a Filipina partner however, the the place to live could already be prescribed. The cost of living in the Philippines is cheap and you can easily make a living there, even if you are on a low budget. I will try to give you all the information you might possibly need to live and survive in the Philippines. 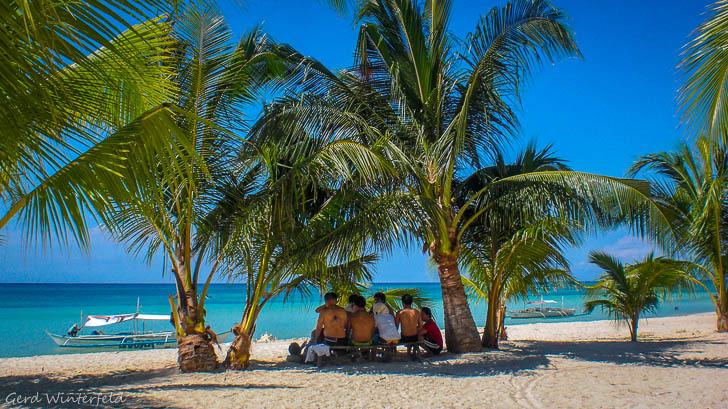 The Philippines are a great place to retire and there might be a lot of your countrymen already there. In my neigbourhood in Bohol I had retirees from Australia, America, Canada, New Zealand, the UK, Noway, Sweden, Switzerland and Germans, of course. In recent years, even some accommodation and care facilities, specially for needy foreigners were built. I lived in the Philippines from 2001 till 2013 on the island of Bohol. However, I left the Philippines in October 2013 after the earthquake. Since then I live in Thailand and visit the Philippines usually for 2 month every year. The Filipinos are friendly and helpful, but you must also be careful not to be cheated. The crime rate increases as you approach the larger cities. However, this is the case in other countries as well. Unemployment benefits and social welfare are foreign words in the Philippines and non-existent! There is no social network that catches one when anything goes wrong and the financial cushion melts. Make sure you have an internationally valid health insurance. Doctor visits because of minor problems you can easily pay by yourself but hospital stays can be really expensive in the Philippines. Anyone who wants to live in the Philippines should be able to stand on their own feet and not call for help from your mum or authorities for any small problem.